Viral Visionaries: how do marketers calculate the ROI of a livestream? Calculating the real worth of an influencer is still somewhat of a wild west, but a lot of companies are finding ways to do it efficiently. We're familiar with branded video content - and a video can stay up and garner views over time. We know how to calculate views and engagements on a video, but livestreaming is a different beast. It happens at a specific time and is sometimes a one off event. With this in mind, is it harder to calculate the ROI of a campaign if you're working with a streamer? We put the question to our Viral Visionaries - our team of industry experts. Livestreaming campaigns cannot be measured in the same way as VOD campaigns. It's like comparing a phone call to a voicemail. Direct response campaigns function differently in live because audiences are unlikely to click away from a video that's happening in real-time. They would miss something while it's happening. Therefore, DR campaigns need to function more like podcast advertising. How can you use the incredible algorithmic preference, high engagement, and cross-platform ubiquity of live video to form a branded story that sticks beyond real-time clickthrough rates? For other types of campaigns and once the livestream has been posted as a VOD (which happens automatically on most platforms once a stream has completed), the ROI of livestreaming campaigns can be reported much like VOD campaigns: views, engagement, sentiment, etc. I think it makes a big difference based on the platform you choose to go live. National Geographic is sponsoring HQ this week, and they have a 5-10 second full screen billboard after question two that reaches ~400k live concurrent viewers. Miss that moment and you miss the sponsorship. Same situation for live streaming apps where the content is not archived. Facebook and YouTube archive live streams. A large percentage of their views occur in the VOD window. YouTube generally has a longer shelf life. Over half of the 2 million views of the Epic Games sponsored stream occurred after day three. Six per cent of the McCormick sponsored stream occurred on day one. Views drop for the next five days, and then on day seven, they generate 87-percent more views in that day than on day one. My read of this is the brand liked the live stream content, used it as a marketing asset for their campaign, and boosted the video in its VOD window. In some of these cases, the video format is a live stream, but the intent seems to be to produce compelling content that is just as enjoyable in its VOD window. That's good for the marketer, since the sponsorship is not limited to what occurs in the live window. I have seen creators appreciate the value of VOD views for live streams, and work live streams into their production schedule. Ethan Klein live streams his podcast on YouTube. This 108-minute stream should take far less time to produce and edit than a daily vlog. He packed three sponsors into the podcast. Over 95 per cent of the views were generated after the first day. It would be interesting to evaluate the creator's own ROI on their time between vlogs and live streams like this. If a brand is looking to engage its community and get behind a movement, a live stream could be a good vehicle. The Green brothers Project for Awesome is a case study that comes to mind. Views, live watch minutes, live comments, and community actions like donations would be a good way to measure the ROI of the program. Be as specific as you can when you commission livestreams and figure out which metrics matter in measuring your success. If we're talking about ROI, this is where basic metrics like engagements and CCVs may fall short. ROI can be different things to different advertisers. It all depends on what a brand wants to accomplish. One company may want to drive installs in which case one may want to consider CPI over the flight of various streams. Another company may want to change the perception of their brand, in which case they may want to analyse social mentions and sentiment. The KPI to measure return can vary. Thus, the actual execution of a livestream--the selection of the creator, the type of content, and the CTAs should all be tailored to suit a specific need. So my advice to brands would be: be as specific as you can be about what you want when you commission livestreams and figure out which metrics matter in measuring your success. If the goal is to build brand awareness, measuring views (uniques, concurrent, peak) and calculating the cost of each viewer reached will give a good estimated value for ROI. If the goal is based on installs, then it’s critical include a tracking link (Appsflyer, Adjust etc.) to correctly attribute installs to the campaign. One thing to be aware of is that there is usually a large boost in "organic downloads" (in this case unattributed installs) as well, and in a lot of cases this number can be higher than those installs that are tracked. It's important to have a tactic in place on how to track these such as knowing what your baseline number is and tracking the incremental uplift. You can then calculate your eCPI and discover the true cost per install. If the goal is to build community, measuring engagement (chat activity, likes, comments etc.) might be good starting point for ROI. Also running a supporting social campaign and measuring the number of impressions could be a good way to estimate ROI. 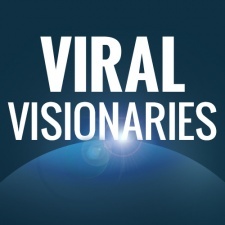 Viral Visionaries: How can brands get the most out of influencer campaigns? Viral Visionaries: What went wrong with Scarlett London's Listerine campaign? Viral Visionaries: does IGTV have the potential to succeed as a video platform? Viral Visionaries: how can influencers make money outside of ad revenue?